When you’re trying to improve your home, you can’t go wrong purchasing a quality set of blinds. Wood is a material that people seek whenever they want something sophisticated and classy. However, wood has its drawbacks, and faux wood offers the same great look. To figure out the difference between wood vs faux wood blinds, keep reading to learn more. 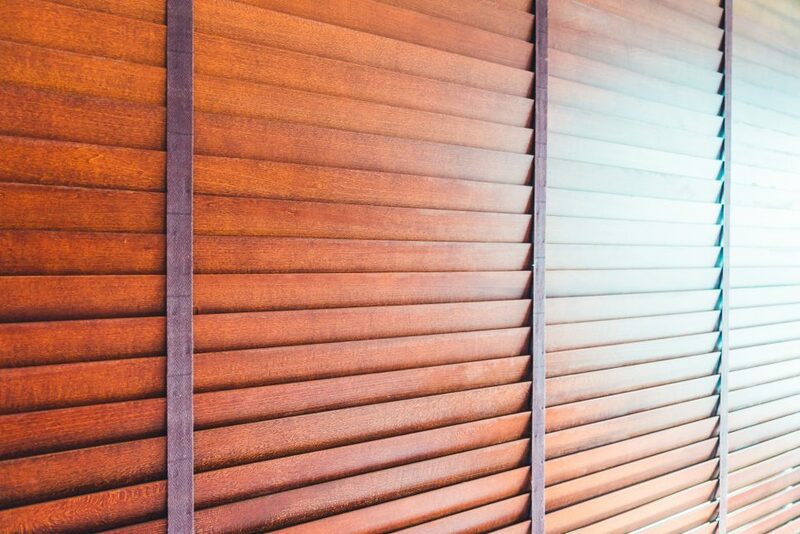 So, what’s the difference between wood vs faux wood blinds? There are plenty of reasons to like both, and both have their drawbacks. For instance, people love wood Venetian blinds for their style and durability. If you’d like to learn a few pros and cons of both, the following points will help you out. Let’s face it…sometimes you just want the real thing. Even though wood is more expensive, you might still prefer the look and touch of the material. If faux wood won’t cut it, there’s nothing wrong with that! Simply know your deal breakers and it’ll help you figure out what works for you. You will need to do a little more to maintain your wood blinds, as opposed to the faux wood blinds. Wood is sensitive and subject to more damage, so you’ll need to be careful about which products you use. Meanwhile, you can use all sorts of cleaning products on faux wood blinds without affecting them one bit. You’ll also need to clean wood blinds more frequently, which is something to consider before making your purchase. Taking the time to actually measure your window will help you determine what sort of blinds you need. Faux wood blinds tend to be a bit heavier, so this can be problematic if you are dealing with particularly large windows. Once you know the exact size of your windows and then get the help of some contractors, you should be taken care of. Start the process by understanding your budget. You’ll will typically pay more money for wood blinds than you will for faux blinds. Wood blinds can cost you upwards of R3,000, while faux wood can cost as much as R1,000. The amount of money you have in your budget will dictate a lot about which direction you take. Gather all your information before making your decision. Consider these tips when you are trying to decide between wood vs faux wood blinds. Understanding the differences between them will help you decide on what will work best for you and your house. We have the best selections of blinds for you, no matter what you’re seeking in your home. Viz Blinds offers a consultation to help you decide which type will work in your house and to offer the best advise for your needs. Contact Viz Blinds to book a consultation today.